Whether daytime skin care for the face, Lip Liner from our Make-up range, Hydrating Foot Cream, Revitalising Hair & Scalp Tonic or the medical skin care offered by Dr. Hauschka Med, all Dr. Hauschka products are 100% natural cosmetics. Furthermore, they are always made using as many ingredients obtained from certified organic or Demeter cultivation as possible. For Dr. Rudolf Hauschka, founder of our company WALA, this was a matter of course. Even back in the 1960s when he developed his first cosmetics line in cooperation with the esthetician and natural researcher Elisabeth Sigmund, our formulations were based on natural ingredients and free from silicones and PEG, as well as synthetic preservatives, dyes and fragrances. In other words: natural cosmetics, and ones that support the skin’s inherent regenerative abilities. Nothing else would have been right for our WALA medicines, which are based on the healing powers of nature. When Dr. Hauschka Skin Care first came to the market in 1967, there was no such thing as certification for natural cosmetics. However, it is important to have an independent standard that describes this concept in a binding manner. NATRUE is an association that provides exactly that. Founded in 2007, this international association aims to protect and promote natural cosmetics worldwide. As a founding member of NATRUE, we have helped to define high standards for natural cosmetics. 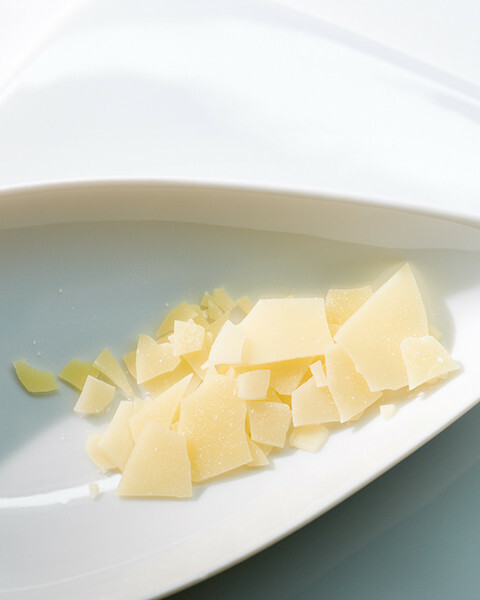 The NATRUE standard assesses products on the basis of their ingredients and manufacturing processes. It differentiates between natural cosmetics, natural cosmetics with a minimum 70% organic content and organic cosmetics (natural cosmetics with a minimum 95% organic content). This percentage-based differentiation is important as, even today, it is still not possible to fully obtain all raw materials for natural cosmetics in organic quality. In some cases, this has led to us instigating the cultivation of organic raw materials. Essential rose oil, mango butter, castor oil and shea butter are just a few examples in this regard. 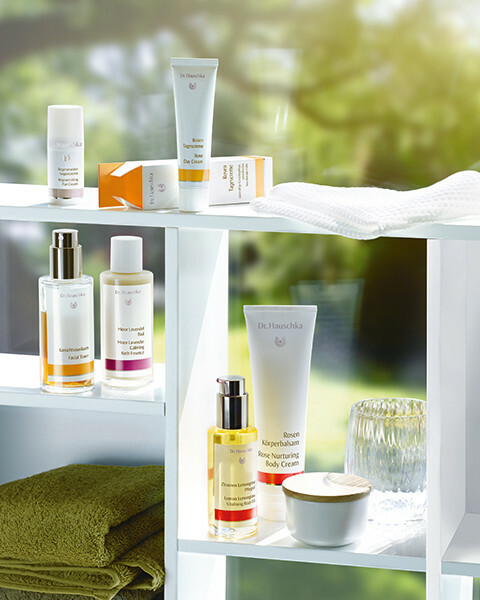 Of course, we have every single one of our over 160 Dr. Hauschka products certified by NATRUE. The fact that our products pass the NATRUE tests provides both you and us with peace of mind. We have developed and produced natural cosmetics since 1967 and do so both out of conviction and based on a responsibility to nature and your wellbeing. After all, what could be more sustainable and effective than natural ingredients from certified organic or Demeter cultivation obtained under fair trade conditions. 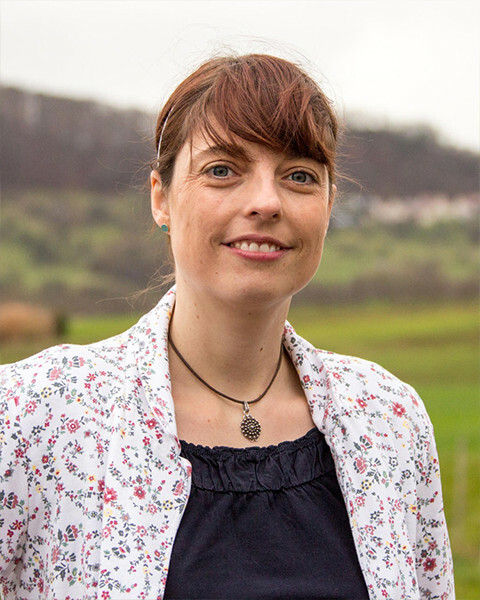 Ms Stiefel, you and your colleagues work to ensure that Dr. Hauschka products meet the highest environmental and social standards and can all be fully tolerated. How exactly do you do this? When a new product is developed, our group is involved at a very early stage to check its composition. We assess each and every one of the raw materials to ensure that they all meet our high quality requirements and can definitely be well tolerated. Don’t the developers decide which ingredients are used for the product formulations? Of course. The formulations come from the Development department. Our task is to check the ingredients for tolerability and legal compliance. We have all sorts of information about each and every raw material, which we evaluate and assess. For example, information about the purity or microbiological quality of each of the raw materials used. We furthermore check whether the ingredients meet our high quality standards as well as the criteria of the natural cosmetics association NATRUE. NATRUE is an international quality seal for natural and organic cosmetics. It helps customers in shops identify authentic natural cosmetics as the term ‘natural cosmetics’ alone is neither protected nor precisely defined by law. Only products that meet strict criteria are allowed to display the NATRUE label. Dr. Hauschka products are certified with this. 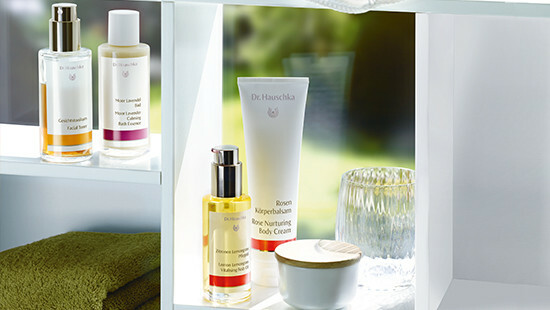 How do you get Dr. Hauschka products NATRUE certified? To be authorised to use the NATRUE seal, an independent auditor comes to visit us. He inspects the entire company and can view all areas, all supplier documents and even the formulations. This enables him to see exactly how much of which raw material is used in which product. These audits are conducted annually. What is the difference between cosmetics and certified natural cosmetics? What exactly is the NATRUE auditor looking for? Natural cosmetics intentionally avoid certain ingredients that are used in conventional cosmetics. For example, mineral oils, parabens, silicones and PEG (polyethylene glycol), but also synthetic fragrances, dyes and preservatives. Instead, natural cosmetics use natural, mainly botanical raw materials, where possible from certified organic cultivation. We also believe that authentic natural cosmetics should be completely free from substances obtained from genetically modified organisms. NATRUE is also of this opinion and has its auditors check this criterion carefully as well. You have received a new formulation from the developers. What now? Let me explain on the basis of a specific example: our new Make-up range. Our developers sent us the formulations many months before the market launch. We checked each and every one of the broad range of natural ingredients to make sure they could be used in cosmetic products. We also checked the quality and purity of the raw materials. So that means that you test the ingredients in your laboratory, for example for pesticide or heavy metal residues? Yes. Our colleagues in the analytics laboratory routinely test all raw materials that are going to be used. In the early stages of product testing, we work in parallel with them and our subsidiary naturamus on quality and safety matters. naturamus is responsible for procuring the raw materials. It checks whether the desired raw materials like waxes, vegetable oils, mineral pigments or medicinal plants are actually available in high, ideally organic, quality and sufficient quantities. Social criteria also play an important role in the raw material purchases. Social criteria for raw material purchases? Can you give us an example? Yes. Our new Make-up products contain mica, for example. 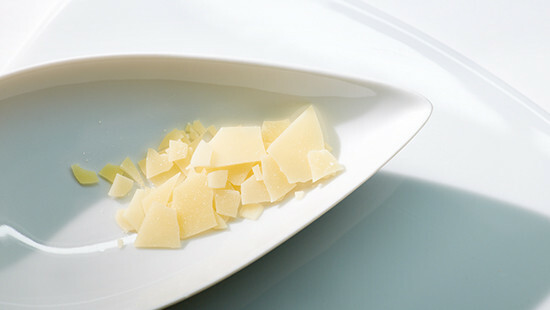 We use this mineral raw material, a silvery sheet silicate, in combination with mineral dyes to colour the products. Mica is mined from stone quarries. The children’s rights organisation Terre des Hommes estimates that up to 20,000 children are involved in mining this mineral in India. As we are aware of this problem, we have selected a supplier that obtains mica responsibly. How can the supplier from which you purchase mica help change the situation in India? Our German supplier, with which we have a long-standing commercial relationship, does a great deal to prevent child labour in India as the country of origin. For example, it has helped to build local schools and improve medical care. Its work is regularly checked by independent institutions. It also works with non-governmental organisations or NGOs to improve people’s living conditions in the mining region. I have no doubt that we could purchase mica for a lower cost on the global market. However, it is important to us that this raw material is obtained under the right conditions. We gladly pay a higher price to ensure this. I’m currently getting the impression that you only test the individual ingredients that go into the new Make-up products. Don’t you test the finished product? But of course! For example, we check the overall composition to ensure it offers good tolerance and effective skin care. This includes commissioning independent institutes to conduct tests for us. We have every single product tested, i.e. each and every shade of Lipstick, Eyeshadow or Kajal – now known as Eye Definer. We also suggest necessary instructions on how to use the finished products. I hope you don’t test the products on animals. No, of course not. We neither conduct nor instruct others to conduct animal testing on any of the Dr. Hauschka Skin Care products. We work exclusively with volunteer test subjects. We have a wealth of understanding about our raw materials and can say from experience that the products are very well tolerated. We can therefore involve the test subjects with a clear conscience. What exactly did you test in relation to the Make-up products? We primarily focussed on the skin tolerance and, in the case of the many Make-up products for the eyes like Mascara, Eyeliner or Eyeshadows, the ocular tolerance and suitability for contact lens wearers. In user tests, we also asked the test subjects questions like how they found the coverage, the actual application or the shelf life of the individual products like the Foundations or Powders. Saying things on paper is easy. Have you actually tested whether the promised effects mentioned in the product descriptions are correct? Yes, and that’s something we regard as extremely important. It’s also a clear legal requirement. For example, we have written that the Foundation moisturises the skin. All test subjects involved in the user test confirmed this claim. They also provided the positive feedback that the product leaves the skin feeling pleasantly cared for. Test procedures, such as the corneometer test, which indicates the skin’s hydration level, can supplement and confirm the test subjects’ statements. However, if a test says that the skin hydration is good but the test subjects say their skin feels dry, the formulation has to be altered. The customer’s needs come first. Soziale Kriterien beim Rohstoffeinkauf? Haben Sie ein Beispiel? Ja. Unsere neuen Make-up-Produkte enthalten zum Beispiel Glimmer. Diesen mineralischen Rohstoff, ein silbriges Schichtsilikat, verwenden wir gemeinsam mit mineralischen Farbstoffen zur Farbgebung. Glimmer wird in Steinbrüchen geschürft. Das Kinderhilfswerk Terre des Hommes schätzt, dass in Indien bis zu 20.000 Kinder bei der Mineralgewinnung mitarbeiten. Weil wir das Problem kennen, haben wir einen Lieferanten ausgewählt, der verantwortungsvoll mit dem Thema umgeht. Was kann Ihr Lieferant, bei dem Sie Glimmer einkaufen, in Indien bewirken? Unser deutscher Lieferant, mit dem wir eine langfristige Handelsbeziehung pflegen, tut sehr viel dafür, Kinderarbeit im Ursprungsland Indien zu verhindern. Zum Beispiel hat er dabei geholfen, Schulen vor Ort aufzubauen und die medizinische Versorgung zu verbessern. Sein Betrieb wird regelmäßig von unabhängigen Institutionen kontrolliert. 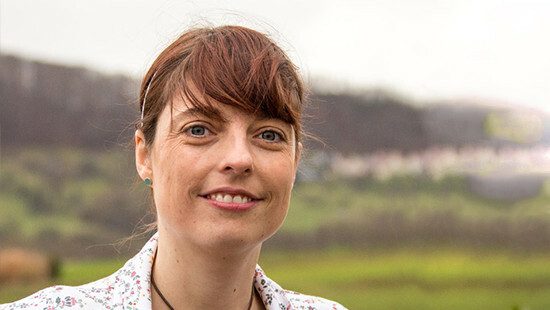 Und er arbeitet mit NGOs zusammen, also Nichtregierungs-Organisationen, um die Lebensbedingungen der Menschen in der Schürfregion zu verbessern. Wir könnten Glimmer sicherlich günstiger auf dem Weltmarkt einkaufen. Aber dass die Bedingungen, unter denen dieser Rohstoff gewonnen wird, stimmen, ist uns wichtig. Dafür zahlen wir gerne einen höheren Preis. Es entsteht gerade der Eindruck, als wenn Sie nur die einzelnen Inhaltsstoffe der neuen Make-up-Produkte getestet haben. Prüfen Sie nicht das fertige Produkt? Doch, selbstverständlich. Wir prüfen zum Beispiel die gute Verträglichkeit und die pflegende Wirksamkeit der Gesamtkomposition. Wir geben dafür unter anderem Tests bei unabhängigen Instituten in Auftrag. Wir lassen dabei wirklich jedes einzelne Produkt testen, also jede einzelne Farbvariante von Lippenstiften, Eyeshadows oder Kajals, den Eye Definern, wie sie jetzt heißen. Zudem schlagen wir notwendige Anwendungshinweise für das fertige Produkt vor. Sie lassen aber hoffentlich nicht an Tieren testen? Nein, natürlich nicht. Für Präparate der Dr. Hauschka Kosmetik werden weder durch uns noch in unserem Auftrag Tierversuche durchgeführt. Wir arbeiten ausschließlich mit freiwilligen Probanden. Wir haben so viel Wissen über unsere Rohstoffe und können aus unserer Erfahrung sagen, dass die Produkte sehr gut verträglich sind. Deshalb können wir guten Gewissens Probanden einbinden. Was genau haben Sie bei den Make-up-Produkten testen lassen? Es ging uns vor allem um die Hautverträglichkeit und gerade bei den vielen Make-up-Produkten für den Augenbereich wie Mascara, Eyeliner oder Eyeshadows zusätzlich um Augen- und Kontaktlinsenverträglichkeit. In Anwendertests haben wir zudem die Probanden gefragt, wie sie zum Beispiel die Deckkraft, das Auftrageverhalten oder die Haltbarkeit einzelner Produkte wie der Foundations oder der Puder empfinden. Papier ist bekanntlich geduldig. Haben Sie auch getestet, ob die Wirkversprechen in den Produktbeschreibungen stimmen? Ja, das ist uns sogar sehr wichtig und rechtlich ganz klar vorgeschrieben. Wir schreiben zum Beispiel, dass die Foundation den Feuchtigkeitsgehalt der Haut bewahrt. Diese Aussage haben im Anwendertest alle Probanden bestätigt. Positiv vermerkten sie zudem das angenehm gepflegte Hautgefühl. Messverfahren, wie zum Beispiel der Corneometertest, der die Hautfeuchte bestimmt, können die Aussagen der Probanden ergänzen und bestätigen. Wenn der Test übrigens sagt, die Hautdurchfeuchtung ist gut und die Probandin sagt, die Haut fühlt sich trocken an, muss man etwas an der Rezeptur ändern. Da steht die Kundin mit ihrem Bedürfnis im Mittelpunkt.